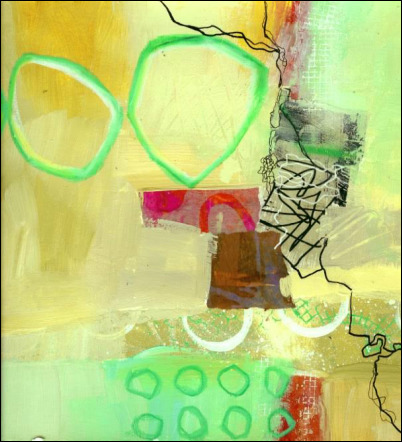 Connect directly to your intuition and express yourself with paint, drawing, and collage. Discover new tools and techniques that get you out of a rut and into a more spontaneous way of working. We will paint to music, paint without brushes, draw with crayons, make collaborative paintings, and more. All techniques are accessible, so those with less experience can jump right in. Experienced painters will find this a refreshing way to re-energize their art practice. Jane will provide paper for substrate, drawing tools to share, various other tools to share, and pearls of wisdom and pearls of stupidity. ​Artists Corner & Gallery will supply paint and matte medium, brushes, brayers, palettes: everything you’ll need for this class. If you like, bring your favorite markers, watercolor crayons, or oil pastels.